Woody Allen has 40+ movies to his name, yet I have only seen a few of his most recent films. What better way to dig deeper into his filmography than to start with 1977’s Best Picture Oscar winner? 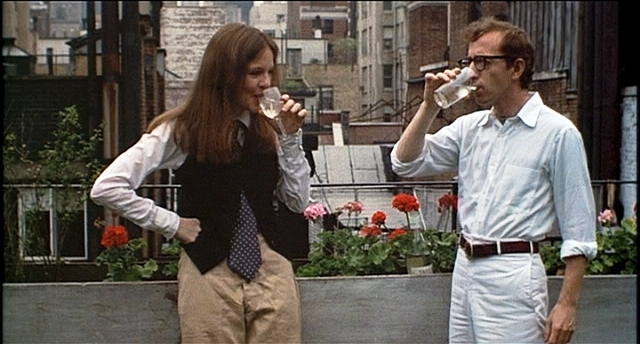 Woody Allen stars as Alvy Singer, a neurotic comedian in New York City who struggles to maintain a relationship with his scatterbrained lover, Annie Hall (Diane Keaton). The movie follows the tumultuous relationship over the course of the 1970s. The New York setting. One thing I have noticed with Woody Allen movies is that the man knows how to make great use of cities. New York is the perfect backdrop for Alvy and Annie’s up-and-down relationship. The breaking of the fourth wall. I loved how Alvy would randomly start talking to the camera to explain certain things happening on screen. I also enjoyed the random visual changes, such as the inexplicable transition to cartoon animation for a brief scene. Brief cameos from Christopher Walken and Jeff Goldblum. Both guys are in blink-and-you’ll-miss-it roles, but both are amusing. Some of the rapid fire dialogue felt forced. This is a film that focuses heavily on talking, and rarely slows down enough to catch its breath. While I found myself laughing at some of Alvy’s wisecracks, there were just as many that fell flat. Alvy Singer. Allen’s character’s full-of-himself shtick became grating as the movie progressed. He found a way to complain about EVERYTHING, with these quips only sometimes being amusing. He wasn’t as enjoyable as neurotic characters like, say, George Costanza on Seinfeld or Larry David on Curb Your Enthusiasm. It’s a bit startling to think that this beat out Star Wars for Best Picture (though I am not a huge fan of that either). 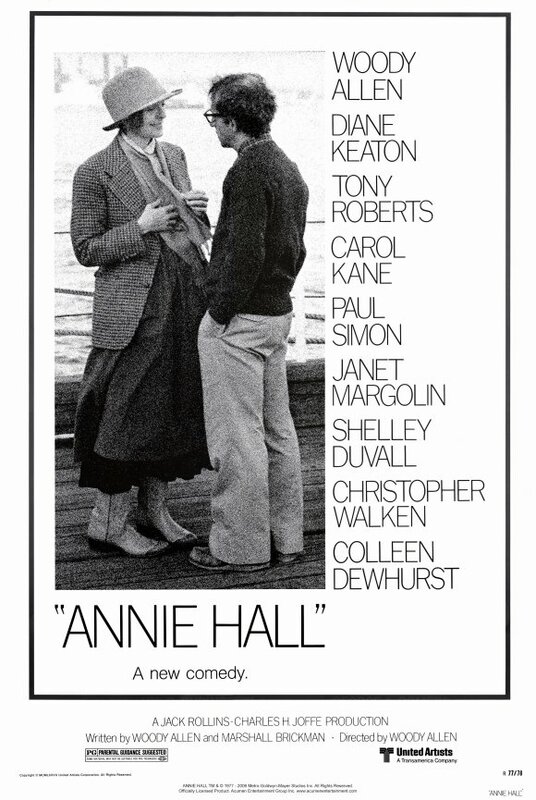 I like Annie Hall, but I feel like the film lacks the same punch it had upon its initial release. The movie has obviously been influential — I had no idea this is where the aforementioned masturbation line came from — and I enjoyed it more than the recent Allen films I have seen, but it didn’t resonate with me in the way it seemingly has for others. Woody Allen sure has a distinct style, though, doesn’t he? * I would love to hear your thoughts on this new “review” format. I will only be using it for Movie Project posts, but I feel it works better for some of these older titles. What do you think? I like it. I’m familiar with a lot of these classic films, but haven’t watched them myself so brief synopses into a few easy to understand categories gives me information condensed and what you feel the main points regarding both the highs and the lows are. Thanks, John. I think I’ll stick with it for most of the Movie Project posts. I really like how you reviewed this. It was “natural” and easy to read and outlined your thoughts perfectly. I recommend keeping with this format for your movie reviews! I saw this for the first time last year and didn’t like it at all. I really don’t understand why it gets so much love, to me it was just a weird movie which I got bored by pretty quickly. I can see how it was a big hit in 1977 since it seems to have been pretty groundbreaking stuff at the time, but it doesn’t really hold up as well today. Glad to hear I’m not alone with this. Yeah, I’m starting to think I’m just not a Woody Allen guy. I would still like to see more of his work, but this is the only film I have really enjoyed from him so far.